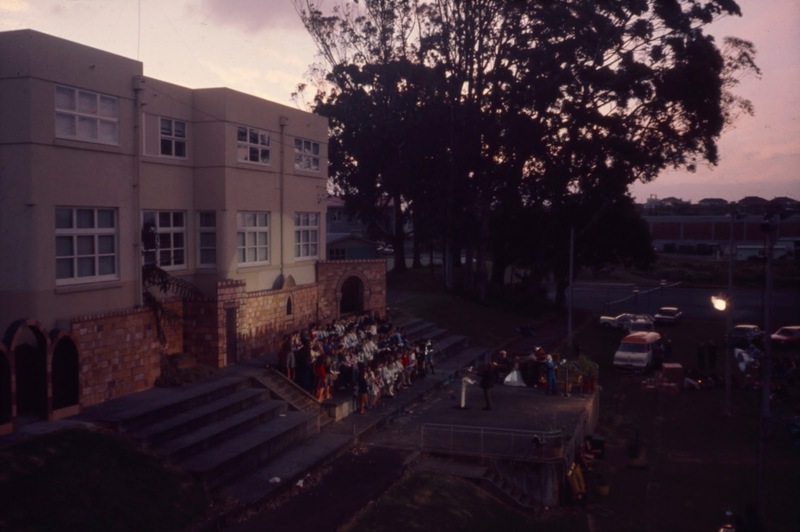 This Friday evening, Heritage & Research and Mt Roskill Library team members are heading along to the Puketāpapa Christmas Festival featuring Three Kings Carols by Candlelight. 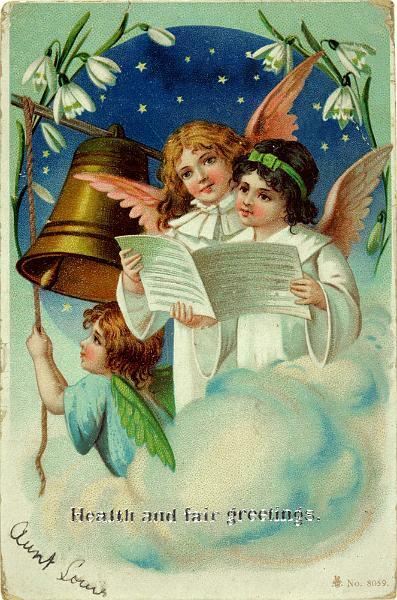 Our Ephemera Librarian has picked out some of her favourite Christmas cards from our Ephemera collection so we’ll have some facsimile cards available as well as a badge maker so you can make your own heritage Christmas badge. Ref: New Zealand Ephemera - Christmas cards, early 1900s, Sir George Grey Special Collections, Auckland Libraries. Ref: Carols by Candlelight, 13 December 1975, MRB 009 Item 705 Box 2, Auckland Council Archives. 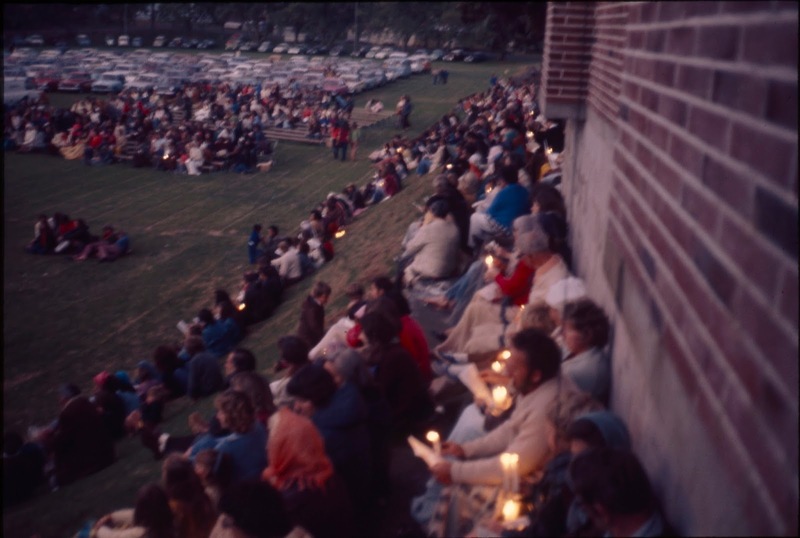 We’ll be hoping to provide some insights into the history of the local area as well the history of Carols by Candlelight at the Three Kings Reserve. 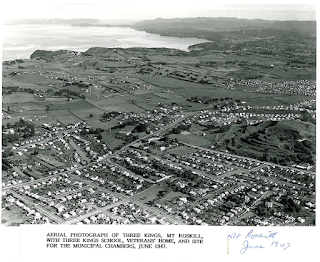 Ref: Aerial photograph of Mt Roskill, 1947, MRB 029 1h, Auckland Council Archives. Ref: Carols by Candlelight, 13 December 1975, MRB 009 Item 111 Box 1, Auckland Council Archives. Ref: Carols by Candlelight, 13 December 1975, MRB 009 Item 700 Box 2, Auckland Council Archives. 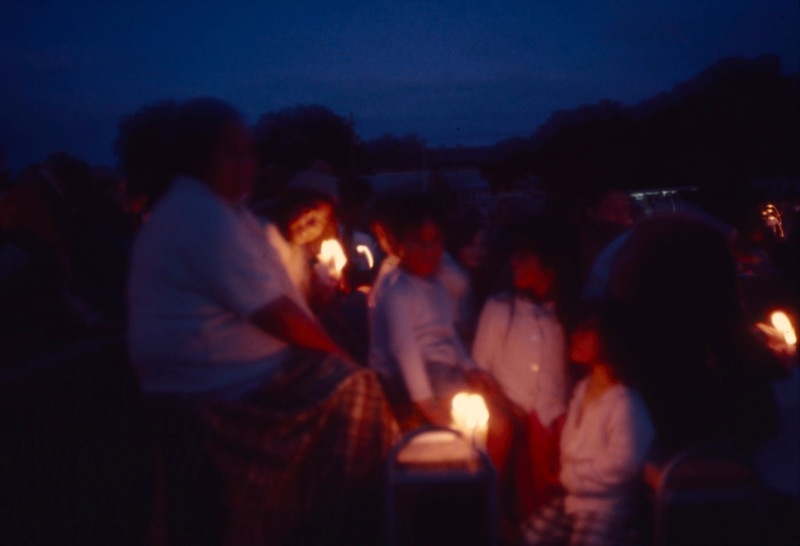 Ref: Family carols, 1970, MRB 111 Record 1-6-3 Box 18, Auckland Council Archives. Ref: Carols by Candlelight, 13 December 1975, MRB 009 Item 703 Box 2, Auckland Council Archives. 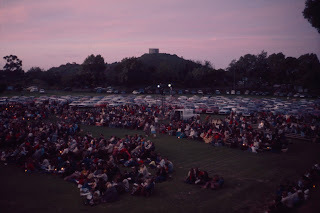 1975 was also a cold damp night as you can see from the photographs throughout this post. The images, from Auckland Council Archives, show everybody wrapped up to keep warm. Ref: : Carols by Candlelight, 13 December 1975, MRB 009 Item 701 Box 2, Auckland Council Archives. 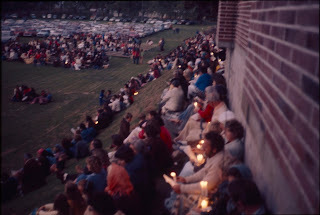 Ref: Mount Roskill Carols by Candlelight, 1984, MRB 111 Record 1-6-3 Box 19, Auckland Council Archives. 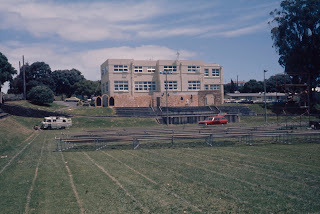 Ref: Carols by Candlelight, 1983-1984, MRB 111 Record 1-6-3 Box 19, Auckland Council Archives. 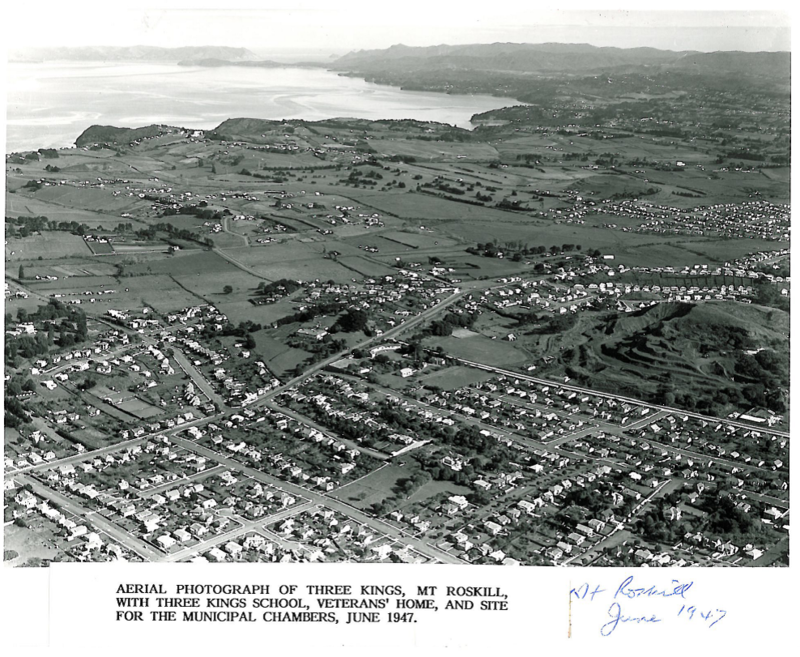 If you are interested in finding out more about historic musical events in Auckland you can use the New Zealand music scrapbooks. 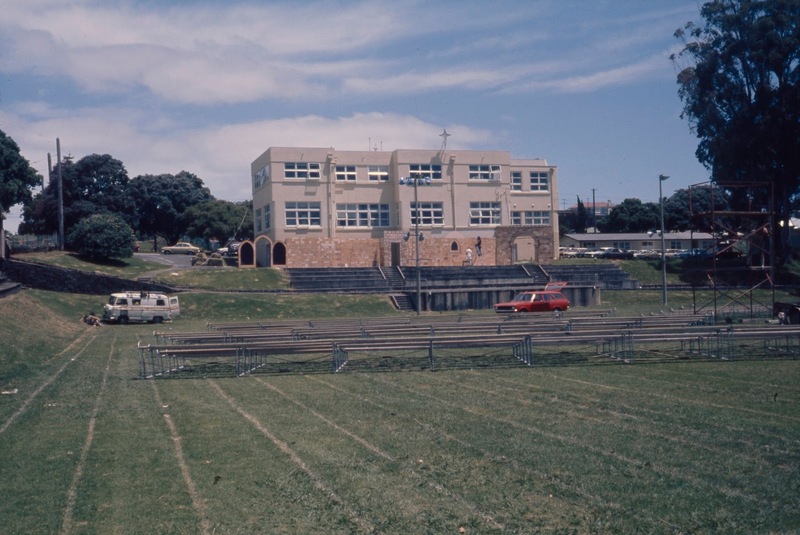 These scrapbooks are available online in Index Auckland, so make the most of the work of diligent librarians who from 1963 – 1997 compiled this wonderful local history resource. 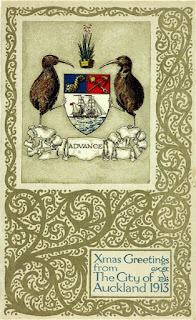 Ref: New Zealand Ephemera - Christmas cards, 1913, Sir George Grey Special Collections, Auckland Libraries. If you see us at Carols by Candlelight pop over and say hi, and grab some of our Christmas giveaways.